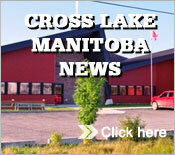 The Ketetowenow Trust (The Trust) was established pursuant to The Cross Lake Community Settlement Agreement to safeguard and manage the compensation dollars, which will be paid out by Manitoba Hydro for past and future impacts related to the hydro project, for the benefit of Cross Lake Community Council residents. The Trust includes a Community Development Account (CDA), which is intended to be the primary source of funds for supporting a variety of initiatives that benefit Cross Lake Community Council Residents. The Trust document also provides for a general process that guides decision-making concering the annual expenditure of funds in the CDA. The process requires the Incorporated Community of Cross lake (ICCL) Council to prepare an Annual Plan for presentation to the Trustees based upon proposals from Residents and the ICCL Council. Trustees review the plan, and the plan is presented and discussed at a public meeting called by the Trustees. After considering input from the public meeting, the Trustees decide whether to approve or amend the Annual Plan for expenditure of funds in the CDA. Funding Limits: Grants for 25% of a project's total capital costs up to a maximum of $50,000; e.g. Capital Cost = $150,000 X 25% = $37,500 maximum grant funding. Business Plan: A proper business plan must be submitted with your application. Discuss your idea with CFNCD first. The education and training must be an existing program developed and delivered by an accredited institution. The majority of the education and training must be delivered in the Community. Community programs that may be considered include outdoor education, cultural programs, spiritual programs, community gatherings, student travel, recognition awards, summer student employment initiatives, DR Hamilton academic and sports awards, community sports teams, and elders gatherings. Funding Limits: Amounts requested must not make up 100% of program costs. Community infrastructure includes permanent buildings or other structures or works owned by the ICCL. Only the ICCL can apply for community infrastructure funding. If you have an idea for a community infrastructure project, talk to the Mayor and Council. The Deadline for submitting completed Business Development and Community Infrastructure projects is September 1, of the previous calendar year (e.g. to apply for 2018 funding, you must have your completed application in by September 1, 2017). Applications for Education & Training and Community Programs Projects Categories will be considered after September 1 and up to November 15, of the following year, subject to availability of funds. The Trustees have developed a package of Guidelines to help community members understand how funds may be accessed and what factors the Trustees will consider when reviewing funding proposals. Residents are encouraged to pick up the Guidelines Package at Incorporated Community of Cross Lake administration building between 9:00 A.M. - 5:00 P.M. An online version of the Guideline Package can be found here. Please read and follow the Guidelines Package. You are strongly encouraged to work closely with Lyle Settee, the Agreement Implementation Coordinator when developing your project proposal. Incomplete or late project proposals may not be considered for funding.